Encouraging young minds to explore new potentials by awakening their passion and cultivating their talents has always been our endevour at K.R Mangalam World School Greater Noida. With the purpose of empowering students to face new global challenges the school provides a positive learning environment with unlimited opportunities to promote creative expression and hone individual skills. 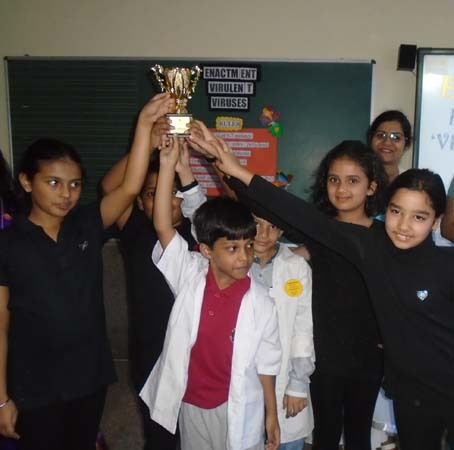 The celebration of its annual inter -school fiesta , ‘Enchante’, is one such platform where students learn to compete in various events, exhibiting their true potential. 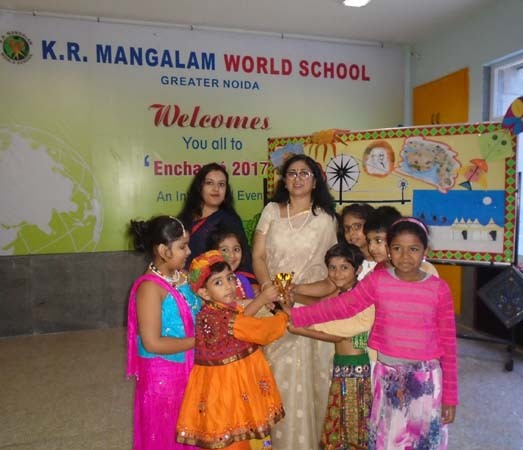 This year too, the thrill of participation and the irresistible spirit of winning were witnessed in ‘ Enchante 2017’ the unique inter-school extravaganza organized on 11 August 2017, by K.R.Mangalam World school, Greater Noida. The medley of events had the school pulsating with creativity and talent as the participants put their best foot forward. As many as twelve events were organized. 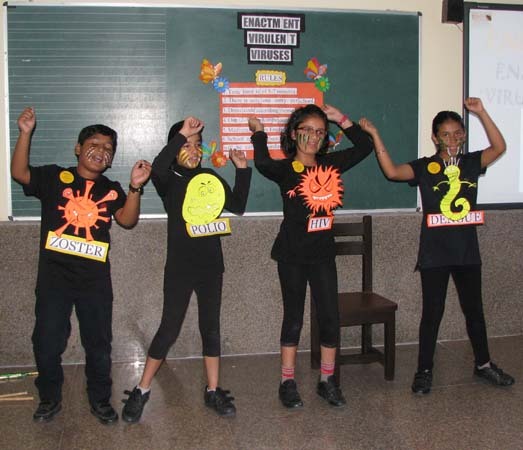 Some of the competitions hosted were- animation in action, show and tell,virus enactment, debate, tableau, vocab- wizard, Pensiever, tribal art, coaster designing, patriotic song competition, bhav pallavan and masquerade . Around three hundred students from various schools of Greater Noida participated enthusiastically with an inner zest and a desire to excel. The school witnessed some outstanding performances, as the students put their best foot forward. The winners were felicitated with trophies and certificates.